A charming 3 bedroom home with original polished timber floorboards in an open living and dining area with 10 foot high ceilings throughout. The large windows fill the living room with natural light and the split cycle air conditioner offers extra comfort. The timber floors flow through to the new kitchen which compliments the character of the home. The new kitchen features a 5 burner gas cooktop with canopy rangehood, a wall oven, Fisher and Paykel double drawer dishwasher and ample cabinetry and pantry storage. The three freshly painted bedrooms all have carpet, built-ins and ceiling fans and the third bedroom also has split cycle air conditioning. A light filled bathroom is extra large & the laundry room offers additional cabinets and storage. The covered BBQ patio overlooks the level grassed yard with already prepared garden bed for flowers or vegetables. Solar panels on the roof plus instantaneous hot water system allows for efficient running of this well cared for family home on a 469m2 block. The single car width garage is a surprising 14 metres in length with a side door entry as well as garage roll-a-door. This can offer tandem parking or a great space for a workshop or creative cave for him or her. 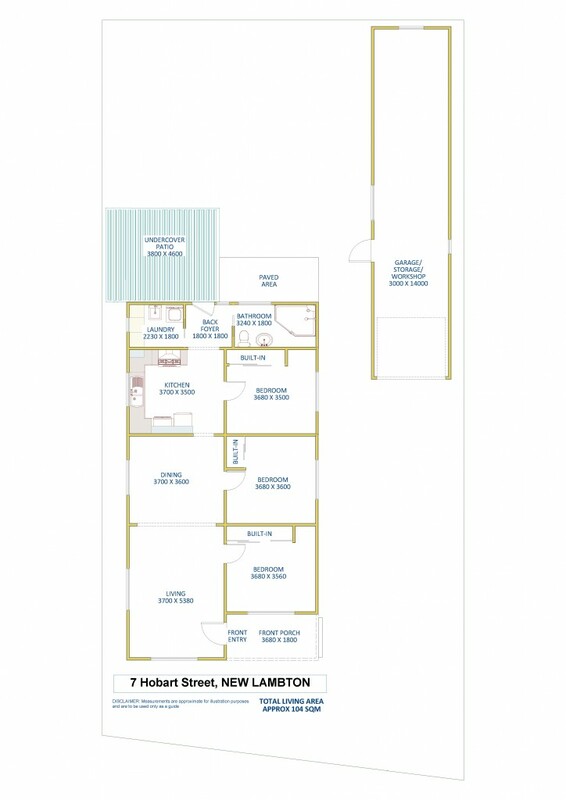 Situated in the cul-de-sac of Hobart Road and zoned for New Lambton Public School, this property is central to Kotara shops, Waratah Village and Lambton Village and only 5km to Newcastle CBD.